MRS. MAMIE J. BROCKMAN BUTLER. 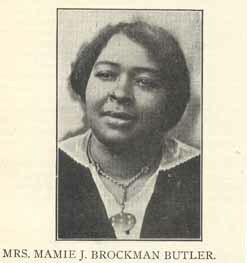 Butler, Mamie J. Brockman, b. 1883. African Methodist Episcopal Church. Women's Missionary Society--Mississippi--Presidents.